Back in the early ‘90s CVG magazine ran a short article taking a look at the copious amount of then upcoming consoles. 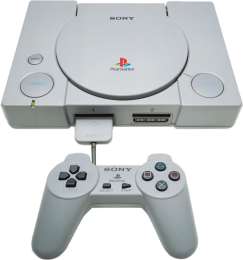 Whoever wrote it claimed that the “Play Station” (as it was then known) was likely to be pushed to the wayside by the consoles Atari, Nintendo and Sega were working on. In hindsight, it’s a claim that’s somewhat comical. At the time though it was a justifiable thing to have said. The only experience Sony had with videogames was via their publishing label Sony Imagesoft, whose arguably biggest hit was Mickey Mania for Mega Drive and SNES. The fact that the PlayStation only came about due to an aborted partnership with Nintendo to create a CD add-on for the SNES also hinted at some sour grapes on Sony’s behalf. It was almost as if Sony were planning to go at it alone simply as payback for Nintendo cutting their potential fortunes short. Cheap and easy to develop for, the PlayStation did of course eventually go on to outsell both the Saturn and N64 while becoming a household name in the process. Sony’s marketing campaigns played a large part in the system’s immense popularity – putting demo pods running WipEout in UK nightclubs was a genius move, not to mention one that helped videogames as a whole appeal to a far larger audience. Those who shelled out £299 on launch day were treated to a stellar line-up that knocked the Saturn’s launch games for six. Ridge Racer may have only featured one track, but it looked far greater than Sega’s rushed out conversion of Daytona USA. It was, in short, a system seller. 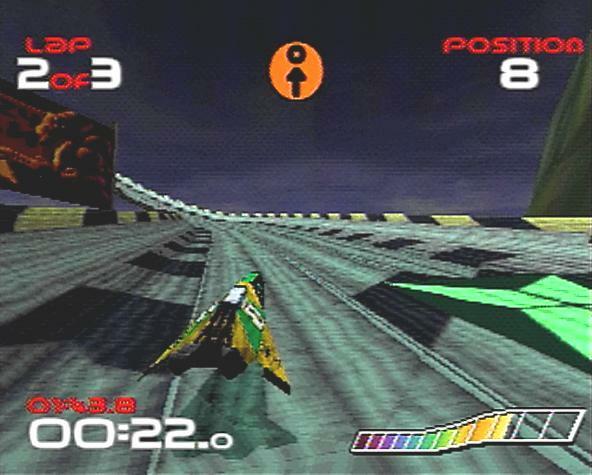 WipEout was an altogether different kind of racer – far edgier, without a single pair of wheels in sight. It may have been soon bettered by WipEout 2097, which featured vastly improved handling, but the original was still a very important game for Sony that showed off what the system could do. The soundtrack too turned heads, featuring licensed tracks from Chemical Brothers, Leftfield and Orbital. The now sadly defunct Psygnosis provided quite a few of the PlayStation’s line-up in fact, with two more titles – Destruction Derby and 3D Lemmings – arriving just a couple of weeks after the console itself.